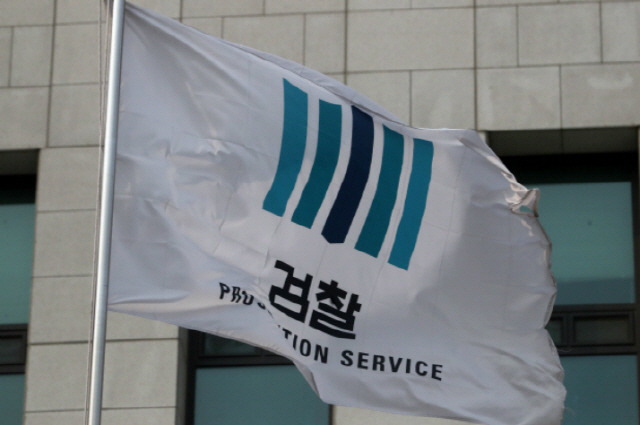 The Supreme Prosecutors’ Office has asked the Korea Blockchain Association to cooperate in “developing the inquiry system over virtual currency addresses.” In connection with this, there have been diverse opinions in the blockchain community. Some people worry that the cryptocurrency ecosystem may contract as a result of the reinforcement of censorship by state power, whereas others welcome the system as the first step in institutionalizing the cryptocurrency market. Adding one to such diverse opinions, this writer is in the side of being positive. A look at an official paper in the name of the prosecutor general shows that the requested system is specified as an inquiry system aimed at inquiring about virtual currency addresses and identifying crypto exchanges. After all, the request is to develop a system designed to watch the points of strategic importance where the exchange of cryptocurrencies is taking place. Crypto exchanges have asked customers to conduct higher levels of Know Your Customer (KYC) verifications so far. Yet the reality has been that if cryptocurrencies go out of the exchange to the on-chain territory after being traded within the platform, the relevant exchange was helpless. 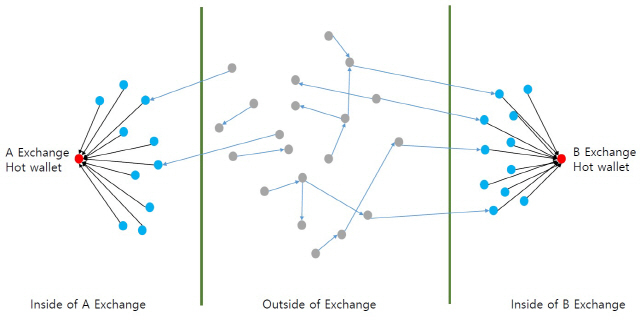 In the picture, red dots indicate the hot wallet (a wallet engaging in trading directly within the exchange) and sky-blue dots indicate wallets of individuals within the exchange distributed to individual users for cryptocurrency deposits. And outside of the exchange’s territory are their own wallets (hard wallet or soft wallet purchased and used individually like MyEtherWallet and Trezor: gray dots). Here few will be detected from gray dots as long as there are no use patterns after being used consistently for a long time. Also, inquiry may be meaningless because generating new wallets is so easy. Of course the system can be used in tracking down on fund flows. Wallets the prosecution hopes to inquire about are those equivalent to the sky-blue dots conceptually. Inquiry about “gray dots” is meaningless because few can be detected, but cryptocurrencies that existed in the territory of gray dots cannot help moving to sky-blue dots for trading. The prosecution appears to believe that suspects (?) can be identified through users’ KYC stored in the relevant exchange if sky-blue dots are reached. However, this method is not perfect because of the lingering problems as follows. 1) Absence of cryptocurrency tracking function: It’s possible to figure out cryptocurrency flows accurately only when tracking down on courses of cryptocurrencies moving to other exchanges from a certain exchange. 2) Transfer to exchanges abroad: International cooperation is necessary if cryptocurrencies are sent to abroad for change. 3) Difficulty in inquiring about addresses of non-member exchanges of the blockchain association: At a time when exchanges spring up like mushrooms owing to a lack of standards for establishment, it might be difficult to identify addresses if cooperation is hard to come by through the blockchain association. Despite these problems, introducing the inquiry system could produce actual results to a certain extent. Although there are ways to circumvent the system, a torrent of money laundering through cryptocurrencies will be checked more or less because user identities can be obtained through inquiry and cryptocurrencies can enter an institutional ecosystem. With respect to the possible contract of the cryptocurrency ecosystem, the “address inquiry system” will bring about positive effects rather than adverse effects, considering that a similar system (anti-money laundering law) is already in place, hardly affecting ordinary users. The address inquiry system won’t be a panacea for problems associated with money laundering but this will certainly be the meaningful first step toward the cryptocurrency ecosystem. Hopefully, institutions related to cryptocurrency will be furnished reasonably one by one, based on this.